Excellent enrollment opportunity for full or part-time piano tuning education. Do you want to go to work freely and have high income? A thousand acres of good land is not as good as a skill. When tired of office workers? Retired civil servants want to open up their second career? 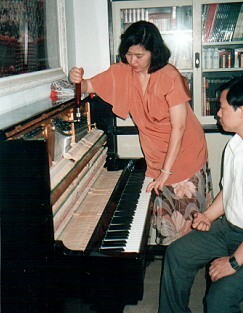 Foreign students can work part-time, the world is popular, when the piano tuner is not bad! After the completion of the course, the company has counseling and employment. Not only can it be used in China, but it is also a good job for part-time job when going abroad. Keep your piano at its best and play the best music at any time.